Three barrel cacti, planted in silver-glazed ceramic pots, are mounted at the centres of three tilted solar cookers. 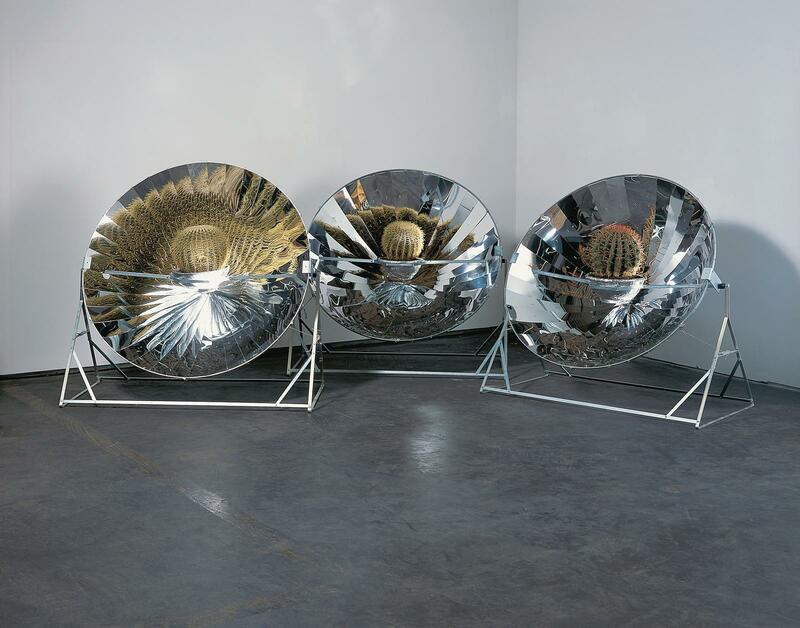 Each solar cooker is a large dish formed by a circular array of curved aluminium slats that have been polished to a bright mirror finish. 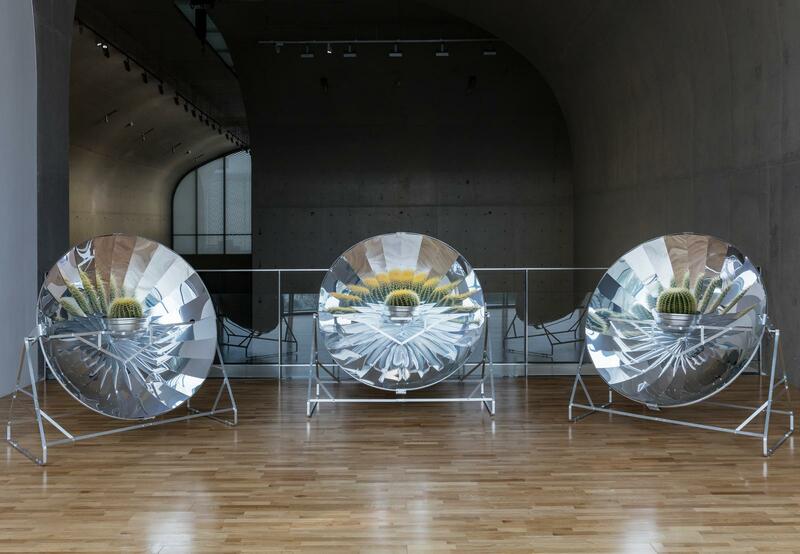 The faceted, reflective surface of the solar cooker surrounds the cactus with a display of its own fragmented image. As the viewer moves towards and around the sculpture, the reflections behind each cactus move with her, producing a dynamic response to her movements.